Geradus Mercator was a cartographer in the sixteenth century and is most well known for his projection of the world named after him, the Mercator Projection. The Mercator Projection was revolutionary in cartography because for the first time a map depicted straight lines of longitude and latitude. This enabled mariners of the time the opportunity to plot straight lines for long-distance voyages without having to adjust continually with a compass reading. 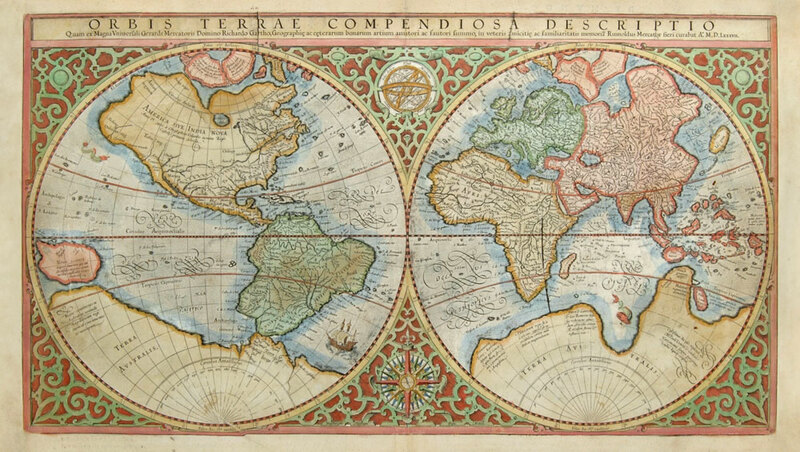 Mercator also introduced the term ‘Atlas’ for a collection of maps which we still use today. The term stemmed from Greek mythology where the giant, Atlas, is depicted holding the world on his shoulders. Mercator revolutionised the way that the world was projected through mathematical and geographical intellect. This has had a huge impact on seafarers, navigation, maps, and even travel and shipping today. What was so straight forward and revolutionary about Mercator’s projection was the inclusion of straight lines, which made it possible to show the straight forward path of a ship sailing on a fixed bearing as a straight line. This is why over twenty years ago, when our MD, Paul, was setting up his freight forwarding business, the name ‘Mercator’ was perfect. Like Geradus Mercator, our freight forwarding team have a commitment to provide a ‘straight forward’ service for every customer and each shipping task we are assigned. Call our freight forwarding team today to discuss how Mercator Cargo can work with you and your business for all your shipping needs – Tel. 02392 756 575. Email: sales@mercatorcargo.co.uk.